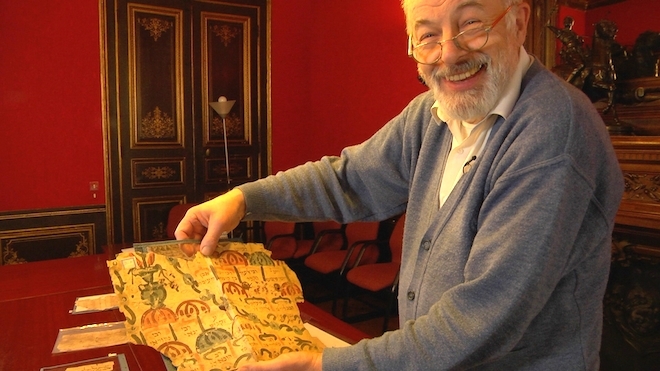 A documentary film exploring the discovery and history of the Cairo Genizah Collection, including interviews with many Genizah scholars. The curators of the Discarded History exhibition have made the exhibition guide freely available online. The guide contains translations of all the manuscripts that were on display. Many of these are the first full translations of the documents. Also, for those who were unable to visit the exhibition in person, you can see the digital version on the Library's webpage here. 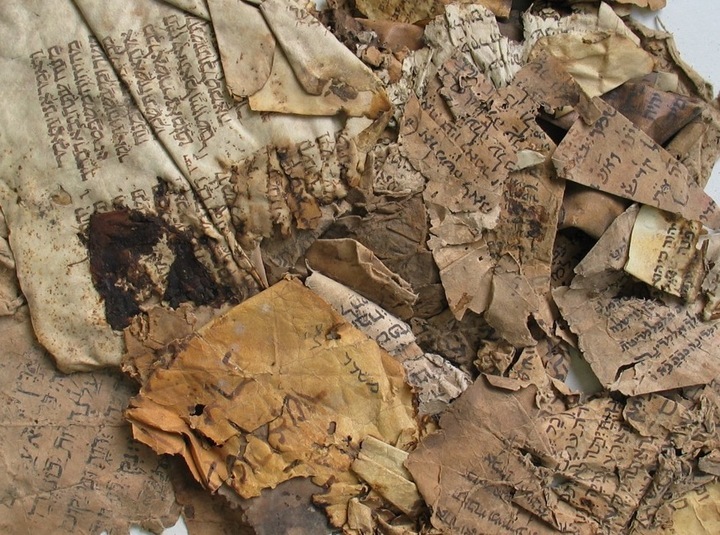 After a long six months, the University Library’s exhibition Discarded History: The Genizah of Medieval Cairo closed to the public on 28th October 2017. The exhibition, featuring 68 Genizah fragments accompanied by Fatimid and Ayyubid period artefacts from Cambridge’s Fitzwilliam Museum, was one of the most successful exhibitions the University Library has ever had. With the advice and expertise of Chris Burgess, the UL’s Exhibitions Programme Manager, ‘Discarded History’ used experimental display techniques (for what are relatively unattractive scraps of brown paper and parchment) and focused on the personal stories of lives lived a thousand years ago. 40,353 visitors came to see ‘Discarded History’, many attending one of the 31 curator tours on offer, or in group visits organised by schools, religious institutions, and local historical societies. 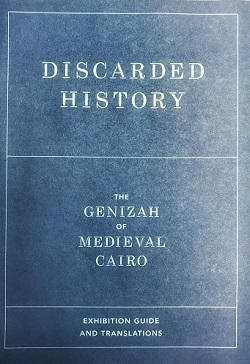 One of the events happening around our exhibition, Discarded History, this new documentary on the Geniza by Michelle Paymar tells the remarkable story of the Cairo Geniza, a vast treasure trove of manuscripts discovered in the “geniza,” or sacred storeroom, of an ancient synagogue in Old Cairo. The Geniza documents are a window into a vanished civilization, illuminating over a thousand years of Jewish, Christian, and Moslem life in the heart of the Islamic world. Solomon Ibn Gabirol, one of the greatest poets of the medieval golden age of Hebrew poetry, left a record of ecstatic spiritual experience in his religious verse and of a troubled, combative personality in his secular verse. In this lecture, we will explore both of these facets of his work and show how they emerged from a single, singular vision. Along the way, we will speak of the Genizah’s contribution to the reconstruction of his poetry. Dr Ben Outhwaite, Head of the Genizah Research Unit at Cambridge University Library, talks about putting together the exhibition 'Discarded History'. The exhibition shows a selection of manuscripts from the Cairo Genizah Collections which give us a unique window into the life of the Jewish community in medieval Cairo. 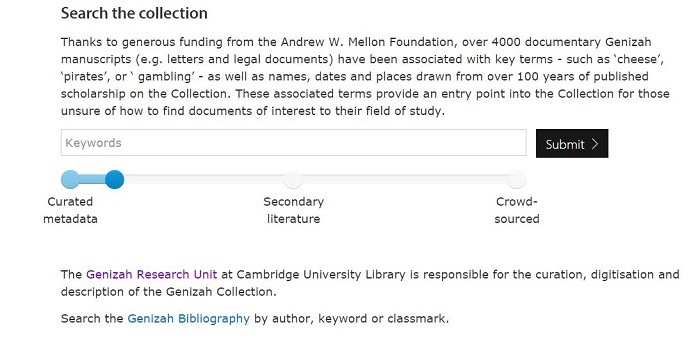 A project funded by the Andrew W. Mellon Foundation, has enabled us to develop a new search tool which facilitates the exploration of the Taylor-Schechter Cairo Genizah Collection by using techniques from the fields of text mining, information retrieval and natural language processing to automate the process of producing descriptive catalogue data for our images on the Cambridge University Digital Library. The keyword metadata provides a new way of searching and browsing the Collection both across broad subject areas and around distinctive items of vocabulary or key concepts. Furthermore, the interface is able to suggest similar items that might be of interest to the user, based on the similarity of the accrued data. A login is required (various login options are given). Curated metadata searches within catalogue entries written by Genizah Research Unit staff. Secondary literature searches will include tags generated by the text mining of 100 years of published scholarship on the Genizah fragments. Crowd-sourced includes all tags added by users. - the search slider can be used to narrow or broaden the metadata source. A word-cloud will appear adjacent to the manuscript. The size of each word in the cloud indicates its relevance. Clicking on an individual term in the word-cloud allows you to mark the terms as irrelevant to the document, and it will decrease in importance in subsequent searches. If enough users mark a term as irrelevant, it will cease to be associated with that fragment altogether. Refreshing the tag cloud (icon top right corner) causes a different set of its keywords to be displayed. The Genizah collection has occupied a place of honour among the literary treasures of the University of Cambridge for more than a century. Scholars are still uncovering important historical insights and meaning. You and your colleagues are a team of conservators working on the preservation and exploration of this priceless collection. One day, whilst at work, you suddenly discover a secret vault and room adjacent to the original depository…. During this 50 minute escape game you will come to realise that there is more to the collection than first thought. You are about to discover the great secret that Dr Schechter kept hidden within his precious haul. Yet it's a race against time - your academic rivals are dangerously close to also uncovering Dr Schechter‘s great mystery. Dr Schechter has given you a head start, can you solve the puzzles and crack the clues he set over one hundred years ago to unearth the secrets of the Chamber? 6th May, 1030, 1230 and 1430. 2nd September, 1030, 1230 and 1430. One team (2-8 players) per session. £30 per team. Bookings open very soon on the University online store. Notice will be posted on the Library Facebook page and twitter when available, at https://www.facebook.com/cambridgeuniversitylibrary and @theUL. Genizah manuscripts will be displayed in a special, five-month, public exhibition at Cambridge University Library opening at the end of April 2017. The exhibition, ‘Discarded History’, will tell the dramatic story of the discovery of the manuscripts 120 years ago, and peer into the medieval society that emerges from their pages. From the first documents recording the discovery of the manuscripts to the nitty, gritty of everyday life: amulets, a child's doodle, letters galore about subjects from ransoming a captive woman to being lost at sea and what we might presume is the most modern of legal agreements - pre-nups! Life laid bare. You may have visited Cambridge and viewed the Genizah manuscripts before, and this exhibition will be an opportunity to come again, learn something new not only about the manuscripts themselves but also about how we restore and conserve them. Usually kept in our closed stacks, this is a rare opportunity to see manuscripts not normally accessible to the public. The 2017 exhibition ‘Discarded History’ is a chance to share the Cairo Genizah with audiences who’ve never heard of it - there’s something to interest everyone! Do you know of a school or educational institution that would be interested in visiting Cambridge to learn about life in medieval Egypt? Please spread the word! Bring your friends! Come and see Maimonides' autograph, Saladin's petition, the Bible in Arabic script and much more. To celebrate each month of the exhibition, there will be a programme of public lectures and activities. Full details of the exhibition programme will be given on this page and on social media closer to the time. The Genizah Unit is delighted to report that the latest volume in Brill’s Cambridge Genizah Studies series will shortly appear. 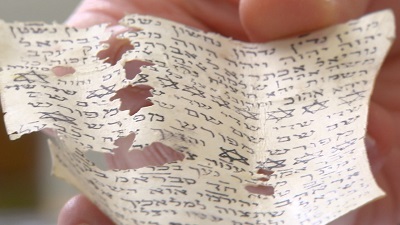 Stefan Reif, former and founding director of the Unit, Emeritus Professor at Cambridge and expert on the history of Jewish liturgy, has produced an in-depth analysis of some of the most important manuscripts of Jewish prayer to emerge from the Cairo Genizah – our most important source for the analysis of the evolution of the Jewish liturgical traditions. Treating twenty-five fragments in depth, with transcription, translation, and historical and textual commentary, the book offers an erudite and thought-provoking look at a range of liturgical texts, covering everything from the Passover Haggada to an unusual grace after meals. The book will offer a fresh understanding of the historical, theological, linguistic and social factors that have shaped Jewish prayer.